Caroline Rogers knows better than to mess with the captivating Kieran Robertson, who would jump at the chance to tease her for anything. She's perfectly fine with just staying friends with Jake Herring, her absolute best friend and biggest crush of all time. Until the day she receives a studious invitation to attend the national academy of music, where she learns how to grow into herself as a person and ditch her few extra pounds, glasses, and sloppy attire for a whole new person. Three years later, when her mother falls ill, she's forced to return home to the very people who made fun of her old appearance, her old shyness, and how easy it was to make her blush. She's hoping her best friend will welcome her back with open arms, but there was something that happened to her before she left town...something she vowed never to speak of. What happens when that past comes back to bite her in front of all her old friends and family in the small town of Bennettsville, North Carolina? 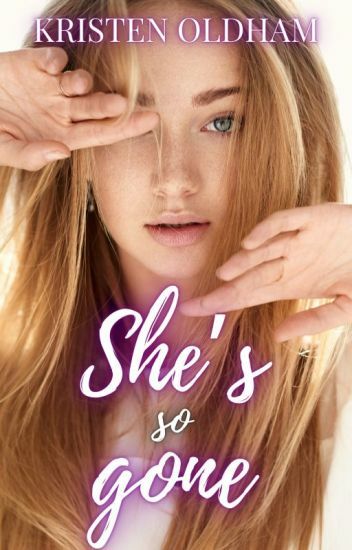 And what happens when they realize the old Caroline Rogers is gone, and the girl in her place is stronger than they'd left her but more broken at the same time, ready to face her demons and put them in their place once and for all? They all need to watch out. Caroline's revenge is just getting started. Warning- Not suitable for readers under the age of 13. There will be some mature language and sexual themes present. Hello My Lovely Readers, Please Read First Before Continuing Forward! She can't be saved. She's far too gone to. Now with their first year behind them Alex and gang are back for round two only this time what happens when the new professor challenges Alex to step out of her comfort zone? Two words: challenge accepted. Join Alex as she journeys into the next phase of her life as she continues to discover who she truly is. ❝You have no idea of how many 11:11 wishes, shooting stars wishes and plain wishes i used on you. Haven't you noticed how my eyes lighten up when you're beside me? or the effect you have on me when you look at me.❞ She looks up at me and tries to meet my gaze with her big, hazel, teary eyes but i look away. Amelia West is married to Alexander King, the man she loves, except with no happy ending since it's only an arranged marriage to him. Something random..few short stories on Darshan Raval and Paridhi Banerjee (imaginary female lead)..cute and short..full of fragrance of love and romance you all would love to read..
Mason and Charlotte never believed this to be an actual concept in Hollywood. But now it was their reality. Andy Jordan isn't social. Not since the incident that practically ruined her life and made her more awkward and shy than she was before. But when she is forced into accepting a role as Amy from an Ask Amy advice column in her school's paper, her entire life is turned upside down. Suddenly, Andy is being forced to lie to the only friends she's ever had while trying to keep Amy a secret from everyone, including golden boy Penn who seems to want to know all of Andy's secrets. When Amy takes it to the radio, on a local and very popular station, Andy must try to avoid detection, even when it becomes increasingly clear to her that she is falling in love with one of her callers, and he is definitely not someone she should be getting involved with. But, for the time being, she'll just have to deal, and allow people to just ask Andy. Angela, just a 17 year old with some quite quirky ways. She rocks the geek gang but is just as much awkward with guys. Besides that Angela is just an average and normal girl. So when the teenage dramas come at her like a storm, you'd think she'd handle them in a normal way, right? Let's not forget though that even though she's normal, she's quite unique in her own way. So she handles them Angelic style. She faces everything from falling in love to immense betrayals. Warning: You may find yourself relating to Angela. Or maybe not. Charlie is not your typical girl. At just twenty years old, she has already experienced more pain than most people do in their entire lifetime. While trying to outrun her dark past, she settles in a small southern Californian town just outside of San Bernardino. Her plan was simple: lay low and hopefully begin to rebuild what was left of her pathetic existence. She had no intention of letting anyone into her carefully constructed walls, especially when she is still being haunted by the ghosts of her former life. That was, until she met him. Tristan is not someone you want to mess with. His demons continue to have a hold over him even after years of torment and his anger issues have proved his behavior to be unpredictable at times. Despite having only his mom and his motorcycle club to call family, he is entirely content with how things are. His club duties provide him an outlet for his pent-up rage, and he can have any chick he wants with a simple nod of his head. He had no intention of changing his ways. That was, until he met her. But this isn't your typical love story. And when the two first meet, it definitely isn't love at first sight. He hates her. She keeps her walls up. Everything about her angers him. Everything about him fuels her anxiety. Will these two tortured souls learn to let go of their fears and find sanctuary in one another? Or will it all go up in flames? Warning: Strong language, sexual content, and other dark themes ahead. Read at your own discretion.